The BBC has added a new category – From the Archive – to its iPlayer streaming service. Some 450 programmes from the BBC’s vast archive are available at launch, including a wide range of programmes from 1946 to present day. It will feature footage which hasn’t been shown since first broadcast, including collections such as the Great War Interviews, a series of interviews with World War One veterans and civilians filmed in the 1960s. BBC documentary strands including Horizon, Storyville and Imagine will be available, alongside popular classics and programmes from legendary BBC stars including Parkinson, Frost, Attenborough and Wogan. 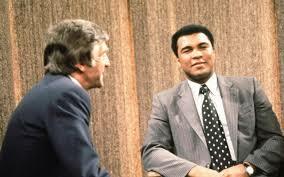 It will also include interviews from sport icons and artists such as Muhammad Ali, Alex Higgins, Henry Moore and Salvador Dali to profiles on historical figures such Martin Luther King, Orson Welles and Paul Getty.